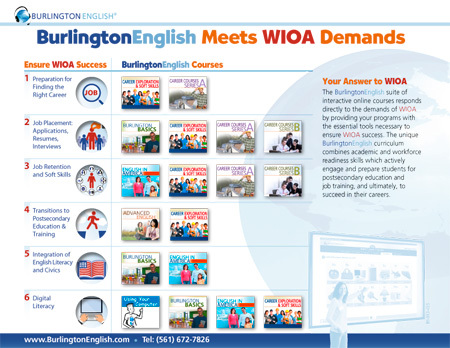 The BurlingtonEnglish curriculum combines academic and workforce readiness skills which actively engage and prepare students for postsecondary education and job training, and ultimately, to succeed in their careers. 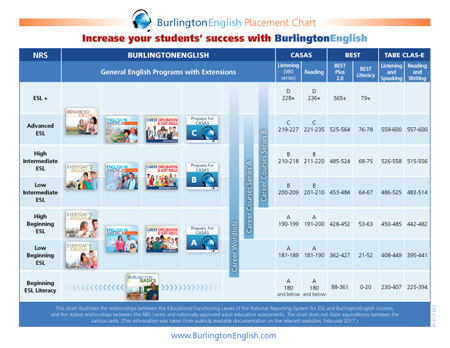 Use the BurlingtonEnglish Placement Chart to place your students in the appropriate course. 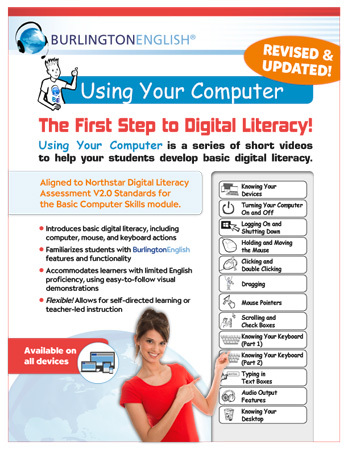 Find out about Using Your Computer – a series of videos to help students develop basic digital literacy. 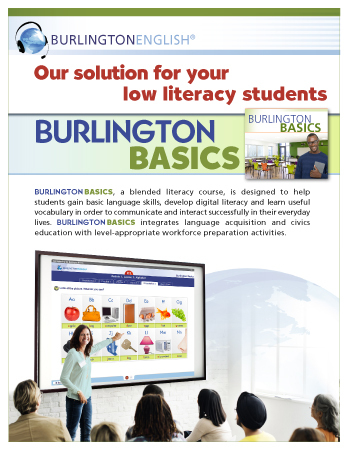 Burlington Basics – our solution for your low literacy students. 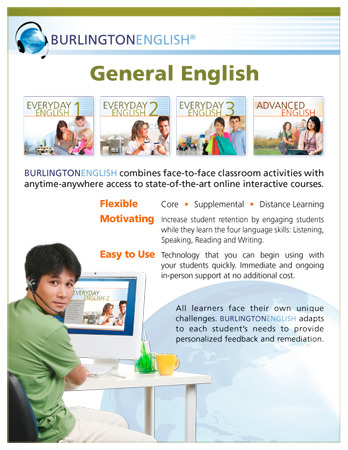 Learn about our General English program and the Burlington blended learning approach. 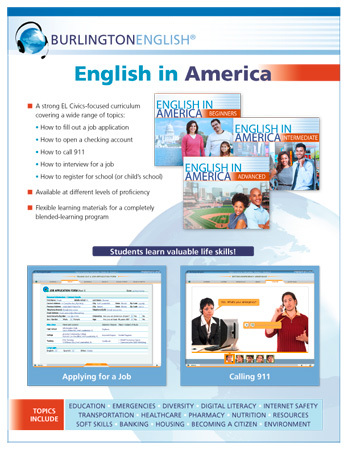 Find out more about our English in America course. 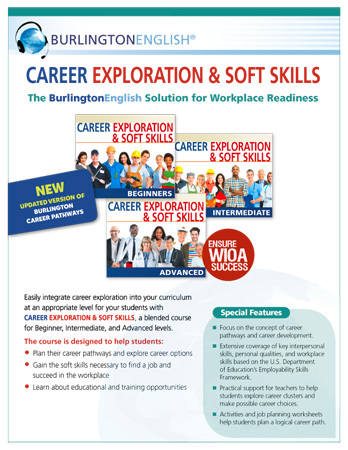 Learn about our new course, Career Exploration and Soft Skills. Learn how our Career Extensions can help your students. 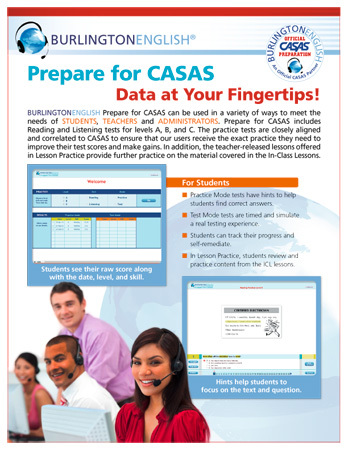 Learn how our Prepare for CASAS course can meet your needs. 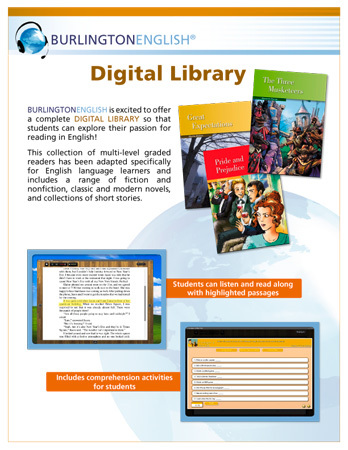 Discover our Digital Library, offering graded readers at three levels. 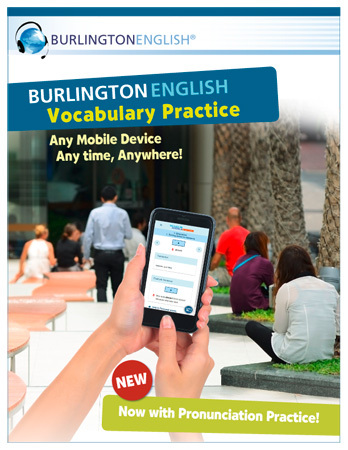 Mobile Vocabulary Practice – any time, anywhere!